The Hackney Carriage has a long tradition, in fact the first licensing of carriages and drivers date back to the 1660s, over time they developed in the 19th century into two-wheel and four-wheel horse drawn carriages. However by the middle of the 20th century , horses were considered a traffic hazard and were completely replaced by cars. UK regulations define a hackney carriage as a taxicab allowed to ply the streets looking for passengers to pick up, as opposed to private hire vehicles (sometimes called minicabs), which may pick up only passengers who have previously booked or who visit the taxi operator’s office. This is an important distinction when you are in London, if you try to flag down a private hire taxi they will not stop. Hackney Cabs are also known as Black Cabs due to the fact they were nearly always Black, but now there is a variety of colours many used for advertising. If the yellow TAXI sign at the front is illuminated, the cab is available for hire. 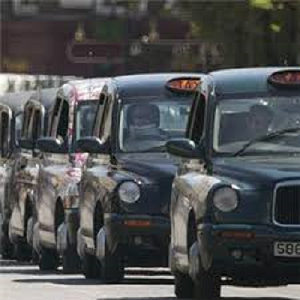 Black cabs are legally obliged to take on any job for journeys up to 12 miles (20 miles for cabs at the Heathrow Airport taxi ranks), or up to one hour duration.Fares are metered, and there is a minimum charge of £2.40. One unusual aspect of black cabs is that they should have a turning circle of only 25 ft (8 m). It is alleged this is because the Savoy Hotels small turning circle outside its entrance. London hackney-carriage drivers are considered amongst the best taxi drivers in the world, the main reason is that they have to undergo stringent tests before they get a license. They have to pass a test called The Knowledge to demonstrate that they have a complete knowledge of the geography of London streets, important buildings and roads. 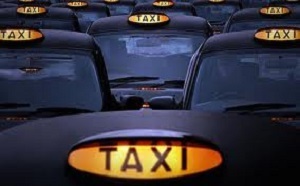 There are currently around 20,000 black cabs in London, licensed by the Public Carriage Office. Although not officially sanctioned as Taxi’s , a number of well-known personalities use a black cab to travel around the streets of London, the most surprising being Prince Phillip who has driven one for number of years. VLG Tip – Unbooked minicabs are illegal. You may be approached by minicab drivers seeking passengers or offering a service; avoid this as these are unsafe, unlicensed, uninsured and illegal and you put yourself in danger if you use these services. By londonvisitors2014 in London Transport on May 13, 2014 .